In their discussion, the two leaders agreed to strengthen the Moroccan-Jordanian diplomatic ties. They also stressed the importance of collective actions to face some of the most high-priority issues of the region. 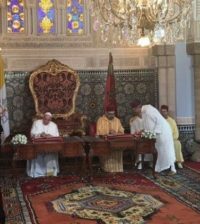 In a subsequent show of the two kingdoms commitment to the principles discussed in the monarchs meeting, Moroccos Minister of Foreign Affairs Nasser Bourita joined Jordanian counterpart Ayman Safadi in releasing a press statement that reiterated the two Kings insistence on greater regional dialogue to solve crises. with his. The press release said that the two countries will collaborate on several sectors, including energy, agriculture, and tourism. The statement also announced that a delegation from Moroccos General Confederation of Moroccan Enterprises (CGEM) and the Moroccan Professional Group of Banks (GPBM) will visit Jordan to explore investment opportunities. King Mohammed VI also ordered the establishment of a training center in the fields of tourism, agro-Industry, construction-public works, energy, and water resources in Jordan. The move is aimed at easing expertise sharing and expanding trade ties between the two kingdoms. In addition to the business cooperation, the Palestinian cause was at the heart of the topics discussed between the two sovereigns. King Mohammed VI and King Abdullah II of Jordan reiterated their full support to the Palestinian cause, emphasizing the inalienable rights of the Palestinian people to establish their independent state with East Jerusalem as its capital. Both monarchs condemned Israels growing worrying policies in Jerusalem. They said Israeli authorities are undermining the citys s legal and historical status, as well as its demographic and spiritual make-up. They said that Palestinians right to return to Israeli-occupied territories and their struggle for equal and dignified treatment as citizens should remain a rallying cry for governments of the MENA region. King Abdullah II commended the continued efforts of King Mohammed VI, Chairman of Al-Quds Committee, in favor of Jerusalem and the Palestinian people. Prior to his visit to Morocco, King Abdullah II canceled a state visit to Romania, protestating the southeastern European countrys recently announced stance on the status of Jerusalem . On Sunday, March 24, Romanian Prime Minister Viorica Dancila her country would soon move its embassy from Tel Aviv to Jerusalem. 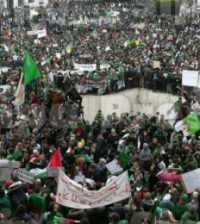 The move stirred controversy in the international community, especially in the Muslim World, where the Palestinian cause is a cause celebre. For many governments in the region, including Morocco, support for Palestine is a high-priority policy. 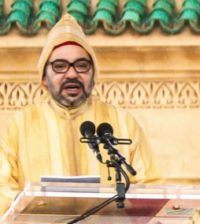 In response to Romanias prospective Jerusalem move, Morocco postponed the visit of a Romanian official, according to Romanian news outlet G4 Media. The two King also discussed the importance of combining efforts to end the Syrian crisis in accordance with Security Council resolution 2254. The resolution, according to the monarchs, will preserve the unity and cohesion of Syria, restore security and stability in the country, while also facilitating the return of Syrian refugees to their homeland to contribute to reconstruction efforts. King Mohammed VI and King Abdullah II also welcomed Iraqs victory over ISIS, expressing their support for its stability. 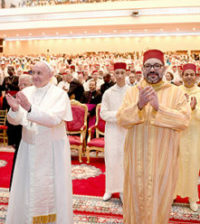 King Mohammed VI also applauded the Jordanian efforts in welcoming large numbers of Syrian refugees. He, however, called for further support to ensure the continuity of the humanitarian act. A Moroccan military field hospital was established in Zaatari camp in Jordan in 2012 to provide humanitarian assistance to refugees. As of November 2015, UNHCR reported that Jordan hosts 1.4 million Syrian refugees. The two monarchs also condemned Israels move towards the occupied Golan Heights. Israel captured the Golan Heights from Syria in 1967. It annexed the territory in 1981 and has since maintained control over it. On Monday, Trump signed a proclamation officially recognizing Israeli authority over the occupied Golan Heights.